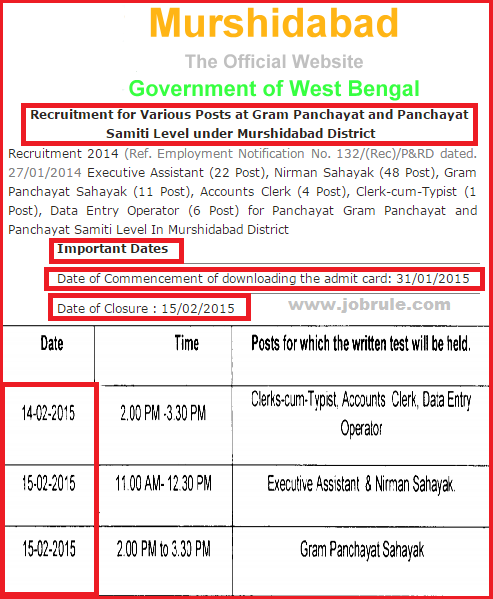 Download Murshidabad district 14/2/2015 & 15/2/2015 Panchayat Job Examination Online Admit Card/Call letter/ Hall Tickets. 5 only between 11 A.M to 3 P.M.
For Download Murshidabad District Panchayat Job examination Online Admit card , registration no & Date of Birth of the candidate applied online is essential. 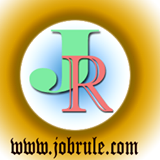 Browse our Jobrule webpage or Like our Jobrule Facebook page to get Murshidabad latest panchayat Job syllabus, model/sample questions, study material, free online exam practice and many more.